Last year China spent more than $450m on footballers, the fifth-largest such outlay by any country. But all this money has not improved the dismal state of Chinese football. The men’s national team ranks 82nd in the world. In October an embarrassing 1-0 defeat to war-torn Syria triggered protests by hundreds of fans in the city of Xi’an where the match was played. Local media say the Chinese Football Association announced its new rules on orders “from above”. They impose a levy on big transfers and demand that one-sixth of clubs’ spending must be on youth training. Officials have also been trying to curb the buying of stakes in foreign clubs—Chinese investors shelled out about $2bn on them last year. The government says this is part of an economy-wide clampdown on currency outflows. But it also wants to make the point that foreign talent won’t necessarily help China’s. The government has recently scuppered several investment deals. A Chinese consortium bought AC Milan, an Italian club, for $825m in August, but has been unable to move money out of China to complete the purchase. Rather than simply moaning about the new rules, clubs have been devising ways of dodging them. Teams must now field at least one Chinese player under 23 each week. Some coaches simply replace them early in the game with older hands. Wayne Rooney’s agent Paul Stretford is in China to see if he can negotiate a deal for the forward to leave Manchester United. And if he does not leave this month it seems certain he will go in the summer.Rooney has fallen down the pecking order at United under Mourinho. Would a China move work for Rooney? Because of new restrictions on overseas players, Jiangsu Suning and Tianjin Quanjian look like the most likely remaining options. However, the England captain’s representatives have already spoken to Tianjin Quanjian and their coach, Fabio Cannavaro, said talks did not progress. The forward, who has started only three games since 17 December, has said he would not play for an English club other than United or Everton. China’s smog-choked northern province of Hebei is no stranger to lofty goals. For one thing, it has to shut down two-thirds of its steel factories by 2020. Here comes another: becoming a provincial powerhouse in soccer. Perhaps understandably, it has given itself a few decades to do it. The “Hebei Province’s Soccer Medium-to-Long Term Development Plan (2016-2050)” unveiled Thursday sets out plans for 1,000 “soccer campuses,” 3,000 amateur leagues and at least one club in the Chinese Super League, the country’s highest tier of professional soccer. Such plans to pursue the “beautiful game,” as soccer is often called, are quite the departure for China. The world’s second-largest economy used to nurture its sport stars the Soviet way, by picking and grooming its talent from an early age. It still harvests most of its medals using this model. But in soccer, Beijing is trying a looser model perfected in the West: shopping for world-class players world-wide and hoping to spot homegrown talent via a grassroots network of soccer programs in local schools. “By 2050, we must contribute to China’s bid to host the World Cup,” the Hebei Provincial Sports Bureau said. At media conferences, officials spoke wistfully of “a soccer tourism route” and “a garden of sports,” a somewhat jarring image of Hebei, which currently produces more than twice the annual steel volume of all U.S. mills combined and is home to China’s smoggiest cities. In its quest to become a leading purveyor of football talent, Hebei already faces some domestic competition. Fujian province, in China’s south, last month said it also has such plans. Earlier this month, so did the aluminum-producing province of Gansu, known more for its deserts than its dazzling dribbles. President Xi Jinping has a soft spot for the sport, and in 2011 made known his desire for China to both qualify for and host a World Cup tournament and ultimately to win one. Still, Hebei might have an edge. The province, where Mr. Xi spent some time early in his career as a county-level Communist Party official, won government support in a successful bid to host the 2022 Winter Olympics, despite having only a set of somewhat stumpy mountains with sporadic snow. For two days in row, Chinese swimmer Fu Yuanhui clambered out of the Olympic pool in Rio clueless about her breakthrough performances: breaking personal records and clinching a bronze medal. Her gleeful candor made her an overnight online sensation. Fans feted her as “Primordial Girl” in online memes and viral videos spoofing her exuberant expressions. Her Weibo microblog following swelled more than sixfold to 3.8 million users. China has a new sports star, and never mind that she didn’t finish first. In a country long obsessed with winning gold medals, Ms. Fu’s newfound fame seemed to signal shifting social perceptions about the meaning of sport. “‘Primordial Girl’ and the netizens who appreciate her have taught all of us a lesson: sport is about the struggle and, especially, enjoyment, but most definitely not about spinning gold,” the Communist Party’s flagship newspaper, People’s Daily, said in a Tuesday commentary. “The warm support from netizens,” according to the newspaper, “shows that public attitudes toward competitive sport and the Olympics have sublimated to a higher level. ”Ms. Fu’s fans, for their part, credited her “authentic” demeanor, which contrasted with the mild mien typical of Chinese Olympians. “We love your happy optimism and strong personality,” a Weibo user wrote on Ms. Fu’s microblog. “That’s what makes a true athlete. ”Winning used to be everything for China’s Olympians, virtually all of whom came through a grueling state-run sports regime that fetishized success. Athletes who strike gold can expect fame and fortune, while those who disappoint often suffer neglect or even ignominy. 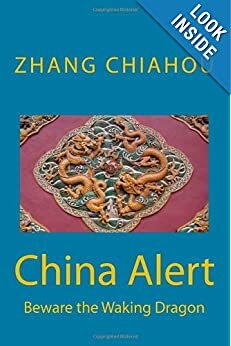 China nonetheless crowned a grandly staged Beijing Olympics by topping the gold-medal tally for the first time, with 51 in all. Their gold haul dropped to a second-place 38 at the 2012 Games in London, and some Chinese pundits expect a further slip in Rio, to between 30 and 36. State media, for its part, has tried to manage public expectations about China’s ebbing gold rush. “As we mature in mentality, learn how to appreciate competition, and become able to calmly applaud our rivals, we’d showcase the confidence and tolerance of a great country,” state broadcaster China Central Television said Sunday in a Weibo post after a goldless first day. “We still need our first gold medal to boost morale, but what we really need is to challenge ourselves, surpass ourselves,” CCTV said. By Tuesday Chinese athletes had racked up eight golds, alongside three silvers and six bronzes.The message seems to be filtering through, with many Chinese fans appearing more tolerant of athletes who underperformed. Among the beneficiaries was Ning Zetao, a swimmer who won widespread popularity at last year’s world championships with his boyish good looks—and a 100-meter freestyle gold. After crashing out of the same event in Rio at the semifinal stage on Tuesday, the 23-year-old appeared philosophical about his failure. “I’ve done my best,” he told a CCTV reporter. India has returned to the Olympic fold after the IOC lifted a ban on the country’s Olympic association on Tuesday, and its athletes will now be able to march behind the Indian flag at the closing ceremony of the Sochi Winter Games. The country’s athletes have been competing in Russia under the Olympic flag due to the suspension, imposed after it held a 2012 Indian Olympic Association (IOA) election in which a corruption-tainted official was voted in as secretary general. “It is the first time in Olympic history that a suspension of a National Olympic Committee has been lifted during the Games,” International Olympic Committee spokesman Mark Adams told reporters. He said the IOC had discussed the matter early on Tuesday and ruled that elections held on Sunday had fulfilled all criteria for the country’s immediate reinstatement. “We observed the general assembly (on Sunday). We are happy with the changes,” Adams said, adding the IOC’s prerequisite to ban any tainted officials from elections had been fully met. On Sunday, the IOA voted in a new set of officials with World Squash Federation chief N. Ramachandran elected president, paving the way for the Olympic reinstatement of the world’s second most populous nation. All India Tennis Association chief Anil Khanna became treasurer in polls which marked the exit of corruption-tainted Abhay Singh Chautala and Lalit Bhanot from the IOA. via UPDATE 4-Olympics-India returns to the Games as IOC lifts ban | Reuters. Arsenal has edged out Manchester United as China’s favourite football club, according to a recent survey. The majority of the 15,586 respondents chose the London-based Gunners as their favourite club team and Germany as their preferred national team. Coventry University’s Centre for the International Business of Sport conducted the survey between September and November on Weibo. The Gunners racked up 3,785 votes, compared with Man United’s 3,210. AC Milan came third with 2,204 votes, followed by Real Madrid (1,959) and Barcelona (1,930). Arsenal is currently sitting at the top of the English Premier League standings. via Arsenal kick Manchester United off top spot as No 1 team for fans in China | South China Morning Post. So many of our best winter-flowering shrubs came to the UK from China. I have been following their route in reverse, thanks to the recent exhibition on Chinese painting at the Victoria and Albert Museum in London. This remarkable show was so popular that it became difficult to see its long scrolls under glass among the queues of so many keen spectators. On my visit, I noted the paintings which related to gardens and flowers and vowed to study them more closely with the help of the expert catalogue. The show has now ended but the catalogue, edited by Hongxing Zhang, lives on in bookshops and is an essential addition to keen gardeners’ libraries. It has increased my initial pleasure. Which will surprise readers of the Weekend FT more, the discovery that Chinese court ladies played football in the garden in the 15th century, or the discovery that a Mr Tang was painted in that same era, reclining in a rattan garden chair beneath a tree and having a “pure dream”? I hope the ladies are more unexpected. Mr Tang is not our respected David, House & Home’s agony uncle, taking a nap. He is Tang Yin who ranked as the top scholar in his province’s exams but came to grief when he sat the national exams in Beijing. He was alleged to have given a bung to the senior examiner’s assistant in order to see the papers in advance. There was nothing left for him but to become a Buddhist, paint and write poetry. He is shown in his chair beneath the branches of a Paulownia tree, his eyes closed. “The Paulownia shadows cover the purple moss”, the accompanying poem by Tang says. “The gentleman is at leisure, feeling an intoxicated sleep, For this lifetime, he has already renounced thoughts of rank and fame, The pure sleep should not have dreams of grandeur.” There is no sign that he has taken to advising correspondents on manners and etiquette. In my garden I have two Paulownias, hanging on to life despite the cold winter of 2013. In warmer counties like Hampshire these quick-growing trees sometimes even flower. Perhaps we should set a deckchair beneath them and snooze, remembering VAT inspections of the past. The footballing ladies are truly surprising. One of them has a dainty foot extended and a big round ball in the air above it. Soccer is an English invention, but if you thought that the English male was the first person to put foot to an inflated ball, you are hundreds of years out of date. Chinese palace ladies were already practising their passing inside the bamboo fence. The ball was lined with an animal bladder and inflated from outside. What about the problem of bound-up feet? Foot-binding was widely imposed on classy women in the Ming period. These 15th-century footballers are moving freely, probably because the painting, as so often, is evoking a much earlier era. Their game was called cuju. If it goes back another 800 years to the Tang era, female footie is inarguably a Chinese invention. Some scholars even claim examples of it in the remote sixth century BC. via 500-year-old Chinese painting hints at football’s female origins – FT.com. If money can buy success in the world of sport, then in China, it matters greatly to whom it belongs. 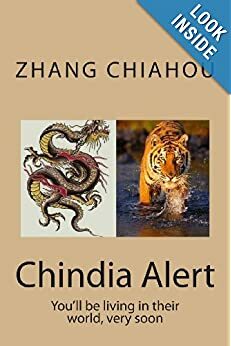 As China stands on the cusp of its first taste of international soccer success, with Guangzhou Evergrande taking on FC Seoul in the final of the Asian Champions League on Saturday night, it’s clear that without huge sums of money, this may never have been possible. And not just any money, but real estate money. As preparations took place outside Tianhe Stadium in Guangzhou’s business district on Saturday morning, the clout and wealth of the local team’s owner, Evergrande Real Estate Group, was plain to see. Rows of trucks bearing the name “Evergrande Music” lined up outside the stadium in preparation for huge post-match bash. With a two-goal advantage after a 2-2 draw in Seoul last month (away goals count for more), Evergrande are the favorites to win Saturday night’s match. Guangzhou-based Evergrande is owned by Xu Jiayin, who according to the latest Hurun Report rich list has a net worth of $7.7 billion. He also has political clout, as a member of the country’s top advisory body, the Chinese People’s Political Consultative Conference. He bought the disgraced Guangzhou Pharmaceutical club in 2010 for 100 million yuan ($16.4 million), after the team was relegated over a match-fixing scandal dating back to 2006. After that, he signed China’s national team captain Zheng Zhi, as well as three players from South America. “There will be no chance for a state-owned company to compete against private real estate money,” said sports columnist Yan Qiang. China’s real estate developers may not necessarily be the biggest or most profitable companies in the country, especially compared to state-owned behemoths. But the industry is a source of some of the more colorful and freewheeling businesspeople — a number of whom are willing to take risks on sports teams for the prestige they bring. In the 2013 Chinese Super League season, state-backed Shandong Luneng Taishan placed second but lagged far behind Evergrande in points. Beijing Guoan, backed by state-owned conglomerate Citic Group, placed third. Real estate money came into play for Guizhou Renhe which ranked fourth. 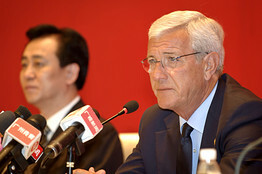 The team received large sums of money from developer Renhe Commercial Holdings Co. Ltd. in 2010, after the team, which was then based in Shaanxi province, flirted with relegation to the second division. Other teams in the Super League propped up by real estate interests include Guangzhou R&F, which finished 6th this year and Hangzhou Greentown, which finished 12th. 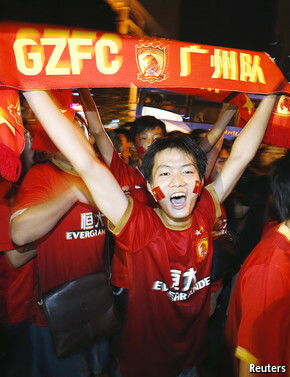 via Big Money Behind Chinese Soccer Strategy – China Real Time Report – WSJ. As we said in our post yesterday – https://chindia-alert.org/2013/07/30/bbc-news-india-coalition-approves-new-state-of-telangana/, India now has double the states it started with after independence. And the more sub-divisions are approved, it seems that more ethnic/language groups want their own state. Where will it all end? Times of India: “The Bahujan Samaj Party demanded splitting of Uttar Pradesh into four smaller states on Wednesday, a day after the Congress Working Committee (CWC) urged the government to form a separate state of Telangana. “We have always supported smaller states,” BSP chief Mayawati said here at a press conference. She said Uttar Pradesh should be divided into four smaller states — Purvanchal, Bundelkhand, Awadh Pradesh and Pashchim Pradesh. “When this population is divided between four states, development will increase,” she said. 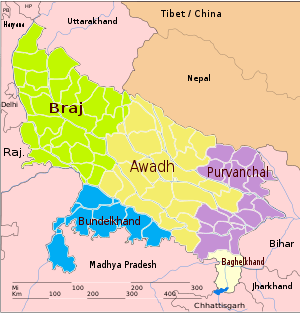 via Divide Uttar Pradesh into four states, Mayawati says – The Times of India.